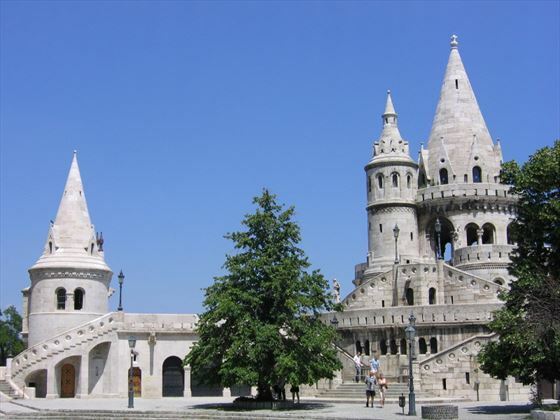 This is a lovely leisurely escorted tour with three nights each in the beautiful historic cities of Prague, Vienna and Budapest. You will see some of the most scenic countryside in Europe and admire the magical River Danube. Indeed you will have a short cruise on the Danube, allowing you to sit back and admire the quaint villages and vineyards as the countryside glides past. You will visit spectacular cathedrals, stroll medieval streets and marvel at ancient castles throughout this magical tour. Discover the charming city of Prague, with its unique culture and architecture. 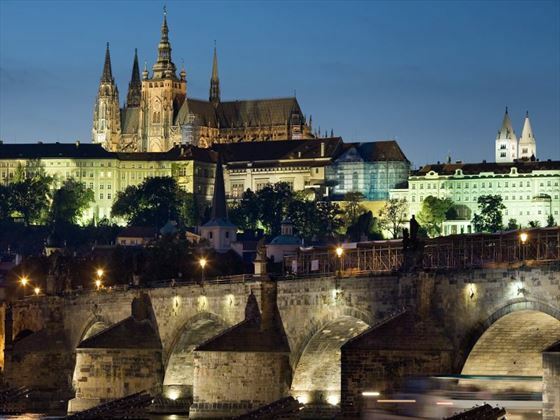 Tour the majestic Hradcany Castle, gothic St Vitus Cathedral and quaint Golden Lane. Pause on the statue lined Charles Bridge and relax in one of the characterful cafes. Discover this fairy-tale city with a panoramic tour. Enjoy a guided tour of the castle district, encompassing Hradcany Castle reputedly the largest castle in the world, gothic St Vitus Cathedral and quaint Golden Lane with its colorful ancient houses. 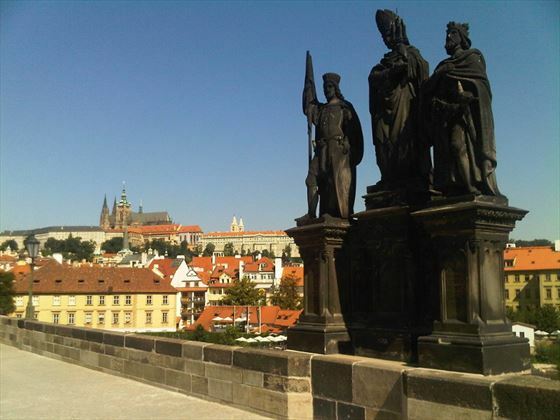 Then visit the beautiful Charles Bridge, lined with majestic statues. This afternoon you are free to explore the city at your pace, perhaps visit one of the many wonderful museums such as the Lapidarium which houses stone sculptures dating from the 11th century to the present. Browse the shops for Bohemian crystal, or perhaps relax over a coffee in one of the many cafes or bars. This evening you will experience a cultural treat, with a traditional Czech evening including regional dishes, beer, wine and dancing. A full day to enjoy Prague at leisure. Stroll around the old town square, where you will see the famous Orloj which is a clock, calendar and planetarium. Or you may choose to take an optional excursion to Prague’s Old Jewish Quarter to visit its historic Jewish Museum and Europe’s oldest surviving Jewish cemetery founded in 1478. Take the scenic route out of Prague towards the magnificent city of Vienna. 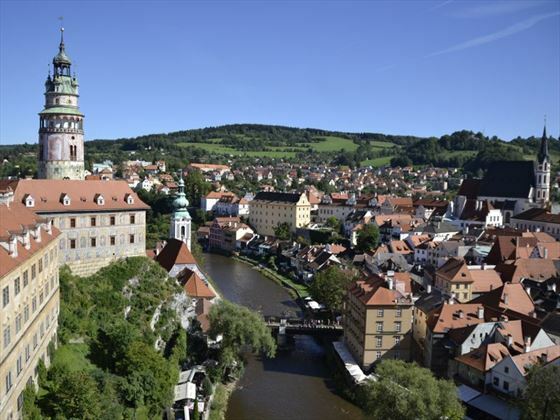 Stop on the way in the truly picturesque town of Cesky Krumlov – one of Europe’s finest medieval sites. Enjoy free time to explore the maze of historic cobble stone lanes lined with Baroque architecture. Afterwards continue to Vienna, the former capital of the Austro-Hungarian Empire where you will be staying for the next three nights. This evening you will have a fabulous introduction to Austria with an evening of regional dishes locally produced wine and fun entertainment in the pretty wine-making village of Grinzing. 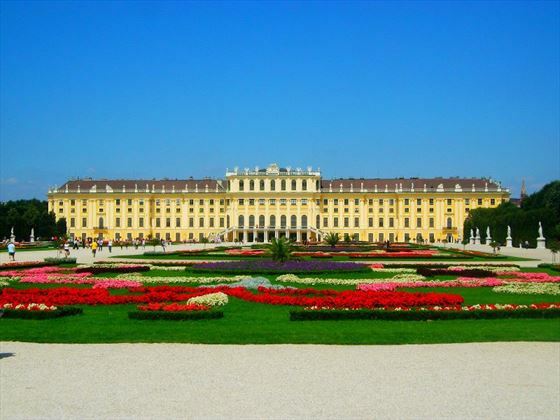 This morning a local resident will take you on a visit of the magnificent Schoenbrunn Palace – the summer retreat of the Hapsburg dynasty for over two hundred years. View the beautiful architecture, scenic parks and gothic spires of this glorious city, and pause to admire St Stephen’s Cathedral. This evening you are free to explore the city or you can choose the optional dinner followed by a superb classical music concert featuring the work of the great composers such as Mozart and Strauss. 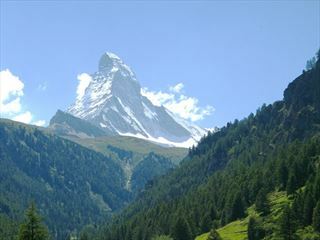 Drive along the banks of the Danube to the pretty medieval town of Durnstein to embark on a scenic Danube River cruise. Glide along one of the most beautiful and iconic rivers in the world, immortalised in the music of Strauss. Float through the Wachau Valley passing by castles, vineyards and quaint old villages. 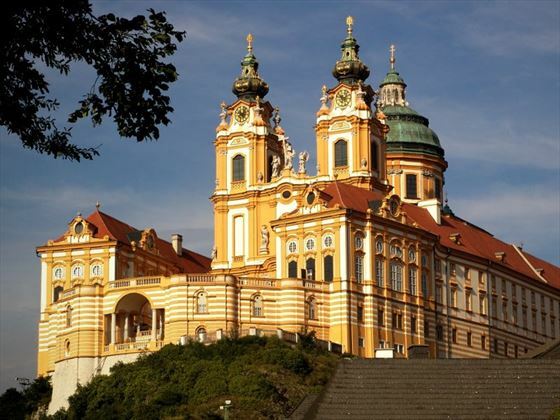 Visit the glorious Melk Abbey, this breath-taking cathedral dates back to the 11th century. Returning to Vienna you have a free evening to relax. 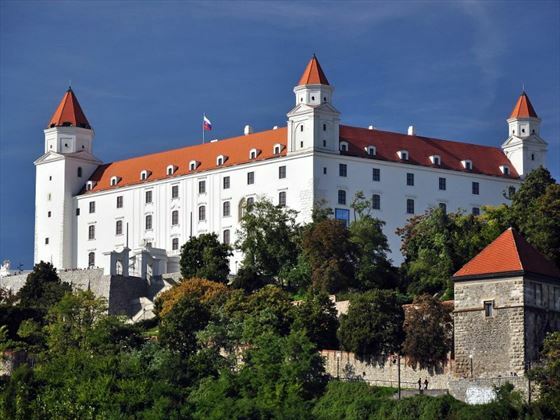 Travel to Bratislava, the Imperial capital of the Hapsburg Empire between the 16th and 18th centuries. Discover the city’s multi-layered history on a city tour with a local expert, viewing the beautiful architecture including the 15th century castle and cathedral. 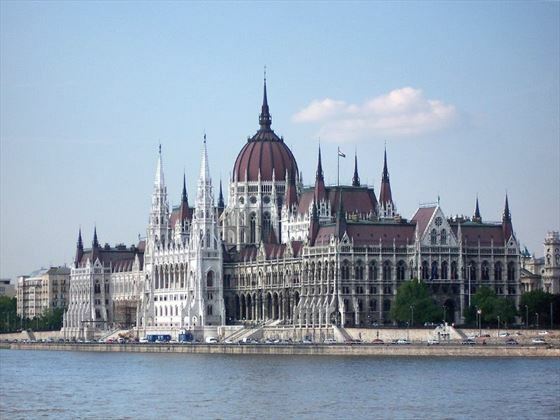 Continue to one of the most beautiful cities in the world – Budapest – “The Queen of the Danube”. A local expert will bring this city to life and you will see landmarks such as Matthias Church - the site of many coronations of kings, and the picturesque towers and arcades of the Fisherman’s Bastion where you will enjoy spectacular views. You will also see historic Old Buda and Gellert Hill with its magnificent Liberty Statue, and the impressive gothic Parliament building (Orszaghaz). Also admire the imposing Millennium Monument in the splendid Heroes Square. Today you have at leisure to really enjoy the wonderful city of Budapest. You can stroll along the riverside streets, visit one of the many superb museums, sample the local cuisine and relax over a coffee in one of the characterful cafes. Or you may choose to join the optional excursion which will take you through the Hungarian Great Plain countryside – known as the Puszta – and visit a typical horse farm where you will see a spectacular horse show. Learn about the unique culture and history of the Hungarian equestrians Csikos, whose lineage dates back a thousand years. Visit the beautiful Baroque town of Szentendre, and see the picturesque churches, museums and galleries. Then pause in Visegrad, a medieval town where you will see a magnificent view of the Danube Bend and the Borzsony Mountains. Then the finale to your tour will be a visit to a 14th century castle where knights in colorful costumes with authentic weaponry recreate the days of chivalry. 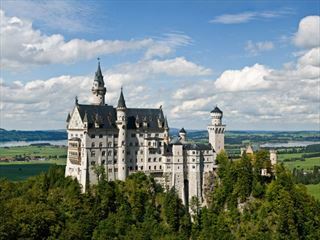 Afterwards enjoy a special Renaissance-style dinner at the castle restaurant and re-enact the days of medieval times, complete with wine and music. 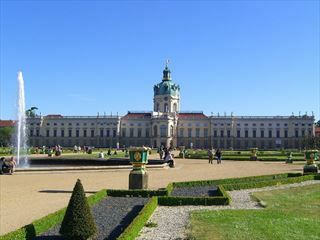 A 14-day escorted tour of the most beautiful and historic cities of Europe. Admire the beauty of Budapest and the vibrancy of Berlin. Enjoy a folklore dinner in Prague and a traditional Austrian dinner in Vienna. Experience a moving tour of Auschwitz and discover Warsaw.